Beach House, Sleeps 6 - 8, 5min walk to beach. Quiet, comfortable, sunny house with wide lawn, bush views, boat and trailer parking, 5 min walk to beautiful beach. Enjoy relaxing, fishing, boating, swimming, tennis. Local store. Only 10 min from Mangawhai and Waipu's restaurants, galleries, limestone caves, bush walks and golf courses. 90 min from Auckland. Lang's Beach has golden sand, surf one end and quieter water the other. Great swimming. 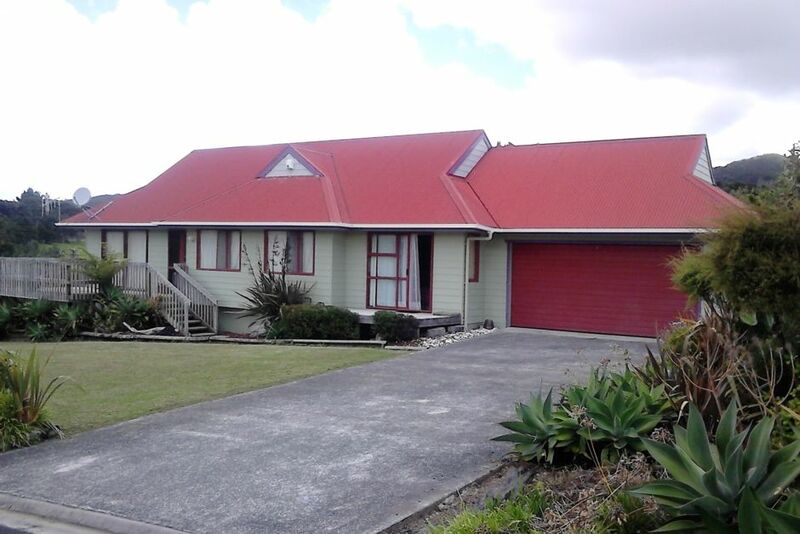 Quiet neighbourhood, safe for children but 10 minutes to Mangawhai or Waipu. We love the weekend markets and the Waipu caves. 2 nights min stay, pets by arrangement. We had a few kinks & wrinkles on arrival day, but all was resolved quickly and easily thanks to our gracious host. Property was in nice location, enjoyed the big garden, and just a 10 minute walk to the beach.